July has been busy and hot and wonderful. Things have continued to go smoothly with our house and we close on Wednesday! It's a crazy wonderful, exciting, terrifying feeling and we love it. This time next week, we will be homeowners! Otherwise, there is not much to report. We both worked a lot in July. Kevin is back in MBA classes, plus doing some landscaping work on the side. I am continuing prep for my fall classes (they gave me another section!) and working retail on the side. Busy, busy, busy. Not nearly as much time for reading as I would have liked. Although, I must admit - I am in a bit of a slump. I'm not loving anything at the moment, which also makes it hard to conjure up the motivation to read instead of binge-watching The West Wing or Community (the latter being in preparation for my new teaching gig this fall...obviously). I keep telling myself that laziness is ok because once we're in the house, laziness will not, can not exist. I will be racing through audiobooks while I paint every last room in that place. The biggest blog news of the month was most certainly that time when Rachel Held Evans herself tweeted out the link to my review of Searching for Sunday and also said we could be friends. Just ask Kevin - I was freaking out. Cheers to a delightful author who is not only putting her open heart on our bookshelves and connecting with the Millennial American Christian in new ways, but also seems to be a genuinely delightful person with whom I'm sure I could have a fun, engaging dinner conversation. 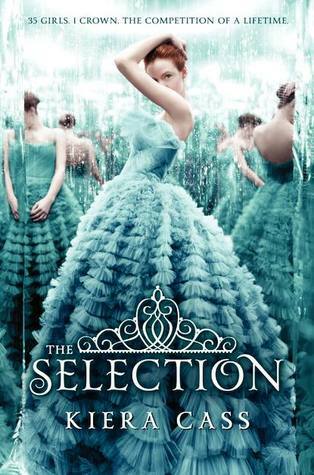 Summary: The Bachelor meets The Hunger Games in this dystopian romance. America Singer (yes, that's really the protagonist's name) finds herself headed to the palace of Illéa to compete for Prince Maxon's hand in marriage. Politics, princess lessons, rebel attacks, and general mean girl antics ensue as the contestants battle it out for Maxon's heart and an escape from the lower social castes into which they were born. What I Thought: I read this entire series over the course of a couple of weeks courtesy of my library's digital copy, which lumps all three novels into one download. Honestly, I am so glad I ended up reading them this way because, in retrospect, the segmentation of the novels would have irked me immensely. The series is really one whole story broken into three parts, rather than three stories which compliment each other. 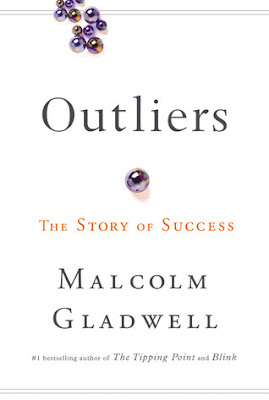 Summary: Gladwell explores the idea of success and those who achieve it. He challenges traditional ideas about what makes someone successful and digs into true stories, real statistics, and fresh ideas to make his case. What I Thought: It's a very American idea to think you achieve success entirely on your own. Gladwell points this out early in Outliers. In fact, success requires an amalgamation of qualities and events: hard work, dedication, opportunity, external support, luck, and being in the right place at the right time, among other things. While I have wanted to read this book for a while, I admit I was a little nervous going into it. Of course, Gladwell is a popular, prolific writer and I should not have doubted his ability to turn his research into a more interesting near narrative form; yet, I did. When I pick up a nonfiction book, I am always a bit fearful that I am about to be bored to tears by unimaginative writing and recitation of facts, rather than creative thinking and efforts to enliven the content. Gladwell, while still providing a mountain of facts and statistical information, maintained an engaging tone. He does not write down to his readers, but he simplifies his content and ideas enough that the lay person can easily both grasp and enjoy his thesis. Summary: As WWII and the Nazi regime descend on France, a young blind girl, Marie-Laure LeBlanc, and her museum locksmith father flee to Saint-Malo, the walled seaside city in Brittany. Meanwhile, a German orphan becomes a skilled radio operator and rises in the ranks of the Nazi army, despite his discomfort with its actions. What I Thought: When I read The Goldfinch, the 2014 Pulitzer Prize winner for Fiction, I felt let down. After The Orphan Master's Son had so thrilled me in 2013, I felt disappointed in this, one of the most prestigious literary awards. Johnson's work struck me as exactly the type of novel which should be winning Pulitzers. Tartt's....well, go read my thoughts on that one. This is not the place. This post is all about the 2015 winner. And what a winner. 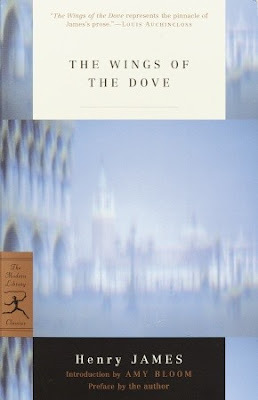 Doerr's novel is beautiful. The tone and writing felt similar to Johnson's in some ways, if only in my equal admiration of them. Summary: In an unnamed city, an epidemic of blindness suddenly and rapidly sweeps through the population. The early affected are placed in a makeshift quarantine, a feeble attempt by the government to staunch the spread of the ailment. Among the group placed there, an optometrist's wife who is somehow the sole retainer of sight. 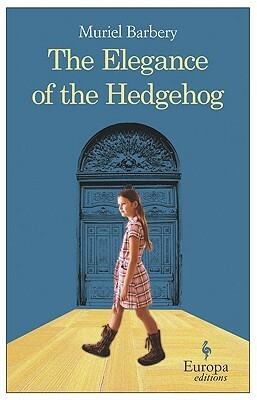 What I Thought: This is one of those books you hear of every now and then as a must read, a triumph of literary prowess. Saramago's look at humanity through blind eyes (or, really, they last seeing eyes left) certainly says a lot about the human condition in a unique and terrifying way. In the beginning, I struggled with this one. The lack of names and the seemingly endless flow of story were hard for me to adjust to. I simply could not find the motivation or desire to read more than ten or twenty pages at a time. Thankfully, in a burst of inspiration, I sought out the audiobook. 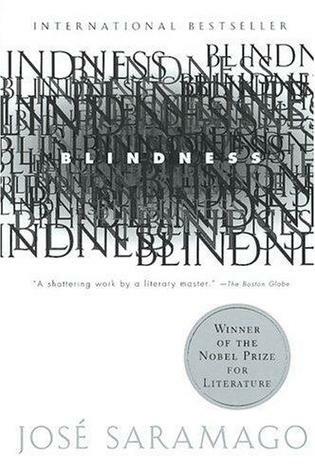 Somehow, hearing the story, as though I had blind eyes myself, transformed my experience with the novel. Suddenly, it was an oral story, told in Homer's tradition, a method of the sightless and the earliest, easiest form of human storytelling. Changing the delivery method to audio seemed to connect the reader so much more efficiently with the story and its messages. 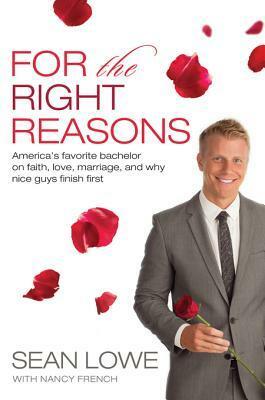 How I Found It: I am, admittedly, a fan of the Bachelor franchise. Summary: Sean Lowe, of Bachelor franchise fame, reflects on his involvement on the show, what led him there, and how it changed his life. What I Thought: When Kevin and I were preparing to move to North Carolina, I expressed my reluctance to make new friends to my best friend. In a moment of sage advice, she counseled me to just find some girls who watch The Bachelor. I did just that. We've been gathering in each other's living rooms all summer as Kaitlyn Bristowe searches for love as The Bachelorette; we'll be there tonight as the Men Tell All and next week After the Final Rose. The show is ridiculous and so over the top at times, but it sure provides a fun way to bond with new friends and laugh together. Ok, but at the heart of it, I know it's total TV trash. If any of you are watching Lifetime's Unreal, you are getting a (probably only slightly exaggerated) glimpse of behind the scenes life on reality TV. Moral of the story: don't believe what you see. It's one of the many reasons so many of the franchise's relationships end with awkward interviews or overly polite joint statements to People magazine. When a relationship from the show does make it to the alter, people pay attention. Summary: In a world remarkably like our own and yet different in some key ways, young Lyra and her companion daemon Pantalaimon face a mysterious threat, set out on a quest to find and defeat it, and encounter a host of unique characters along the way. What I Thought: I am writing this post nearly a month after completing the book and I still do not know what I want to say. 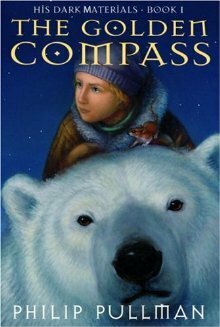 The Golden Compass left me feeling conflicted. I think I was hoping to be swept into a magical world on par with Narnia or Harry Potter. I did not dislike the book, but I cannot say I loved it. Summary: A group of teenagers awake in a mysterious confined space. They begin to explore, search for other survivors, and seek to discover the truth about themselves and their surroundings. What I Thought: You know I am always game for a dystopian style young adult novel. Alive fit into that niche quite well, although it ended up being more of a sci-fi adventure than a dystopian one. The first half of the book really kept me riveted. As the ragtag group of teenagers explored their presumed prison, I enjoyed the Lord of the Flies style power struggles and the Maze Runner feeling of desperation. Sigler keeps the group's origins shrouded in mystery and, just like Dashner's band of survivors, the characters themselves also have no understanding of their surroundings. You put the pieces together alongside them. Summary: Unconventional Princess Cimorene teams up with King Mendanbar of the Enchanted Forest in hopes of rescuing Cimorene's dragon boss, King Kazul, from malicious wizards. What I Thought: I find this series so fun. 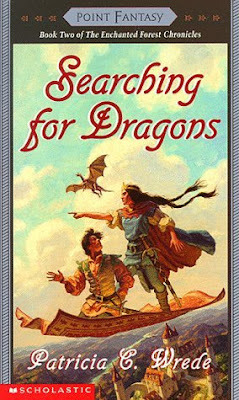 It's untraditional, yet uses a lot of traditional fantasy story elements: princesses, magic, dramatic rescues, fantastical creatures, etc. I do not think this sequel is as naturally charming or engrosing as its predecessor, however, it's still a very enjoyable read. Cimorene still is determined to buck any traditional roles. She maintains her position as a fiery, independent woman. Any romantic connection she may make simply proves a bonus to her already complete personality and life. Love that. Summary: A secretly intellectual concierge, Renée, and a pragmatically suicidal child genius, Paloma, live in the same Paris apartment building. Their paths slowly begin to overlap as they each step outside of their comfort zone to forge new friendships and experience the world around them in new ways. What I Thought: I feel pressure to laud the brilliance of Barbery's famous novel. That pressure, I recognize, stems mostly from myself and my desire to agree with academic and philosophic acclaim. Yet, sometimes, I must blaze my own trail with my own opinions, based exclusively on my experience, rather than the self-imposed expectations of academia and high-brow literature. Was that paragraph too much for you? Yeah, me too. As was this book. Summary: A real-life historical mystery takes off in a manor house in Britain. There, long sealed rooms full of meticulously catalogued family correspondence and records hold some dark secrets for one of England's noble lines. What I Thought: This book ended up being both more and less interesting than I expected. 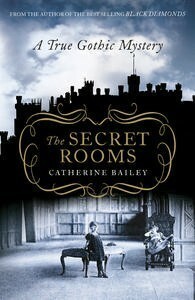 More, in that the idea of mysterious hidden histories of British noble families felt delightfully Downton Abbey to me. Less, in that Bailey dragged on a bit in divulging those secrets. In doing research for a different project, Bailey discovered holes in family records at Belvoir Castle, the family home of the Duke of Rutland. There seemed to be three distinctly defined gaps, each during the life of the ninth Duke, John. John had died in the archival rooms after spending his last days alone there, frantically trying to complete his life's work of cataloging the files. After his death, his son Charles, the tenth Duke, ordered the rooms closed for the next six decades. By the time of Bailey's research, she was one of the first to explore the files in generations. How I Found It: I've been a fan of Rachel Held Evans for a while now. 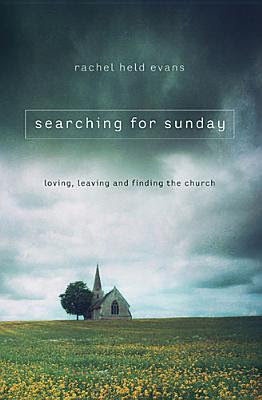 Summary: Evans shares her relationship with the Church from her fundamentalist beginnings to her years of doubts. Her honest voice doesn't profess to have all the answers; rather, she invites the reader to join her on the journey and, together, fall in love with the Church in a fresh way. 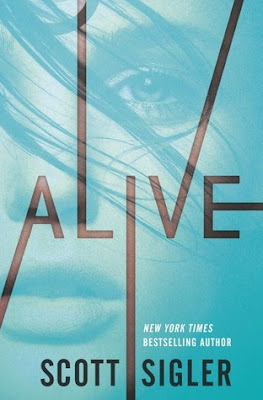 What I Thought: I loved this book. From the first pages, I felt Rachel (I totally feel like we should be on a first name basis even though I don't know her. I'm telling you...we would be friends. I know it.) had honed in on my own experiences, doubts, and longings regarding the Church. Kevin just read the back of the book and said, "Wow. Did she write this for us?" It really felt that way at times. At the risk of getting too personal and at the expense of preserving some anonymity for and harmony among people and places I still love, I feel compelled to share a bit of my own journey. Without that, I do not think I can properly express the impact this book had on me. The short version is this: like Rachel, I was raised in conservative evangelicalism. While I have nothing but respect and admiration for the faith of most I interacted with there, there were plenty who preached legalism over love. I then studied at a small, Christian college which, while still conservative in many ways, taught me to think critically, to seek wisdom and Biblical truth rather than accept anything stated from a pulpit, and to make my faith truly my own once and for all. Administrative changes over the past years, however, have brought drama and internal battles to the school. As I worked and watched in the years following graduation, I began to struggle with many of the same things Rachel faced in and after her own Christian college experience. I had some doubts and my relationship with the Church deteriorated to the point where I hated going on Sunday mornings...or any time. American Christianity felt hypocritical and isolating to me. There certainly did not seem to be much genuine love going around - at least not if you failed to fit their mold. In moving to North Carolina, Kevin and I were given a fresh start in so many ways. After a lot of discussion about what we valued in a church (community, genuineness, biblical truth, outreach, love before judgement, among other things), we found an inter-denominational church that I absolutely love. For the first time in years - perhaps ever - I look forward to going to church. Not every week or every time, but far more than I ever have before. I am working on healing my relationship with the Church and God has placed a beautiful and imperfect faith community in my life to help me do just that. Summary: Kate and Merton want to marry, but have no money. Milly has lots of money, is in love with Merton, and suffers from some mysterious, likely-to-prove-fatal illness. The scheming and twisted relationships which ensue are nearly worthy of Greek theatre or, at the very least, the opera stage. What I Thought: I had it somewhere in my mind that I was going to be a big Henry James fan. I am pretty sure Rory Gilmore referenced him at one point and gave me some impressions I would enjoy James's work. 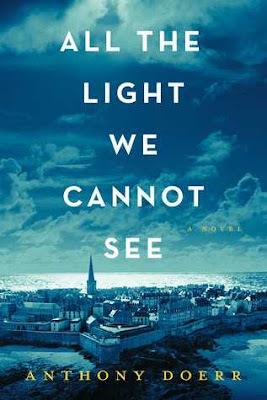 I did not dislike the book, but it certainly did not win me over in the big way I was hoping for, which is unfortunate, considering James has two more works on the Modern Library list. It was just bland to me. There's really no other way to describe it. Here is hoping one of the others will captivate me as Wharton's The Age of Innocence and Stegner's Angle of Repose did. Southern summers are a whole new thing for me and...wow. I've never worn my hair up so many consecutive days in a row. I don't hate it, though. In fact, quite the opposite. Kevin and I are getting more consistent pool time than we ever have before (thanks to awesome friends!) and we really do not mind the heat. It's a million times better than snow. The big news of the month is that we are buying a house! Well, hopefully. We still have to do the inspection and all of that, but, after six months of actively looking, we found we really like and we love the potential it has. Plenty of space for us now and for us to grow into. We are feeling incredibly blessed and also slightly terrified. First time home-buying is quite the range of emotions. Presuming everything continues to go smoothly, we'll be closing the first week of August. Our life right now is all about budget talks, paint colors, decorating ideas, and preparing to beautify the backyard. We love it. Personally, I have been trying to bury my head in the textbook for the course I am teaching at the local community college this fall. I need to push through and get my syllabus finished, but I am struggling. Summer is for fun beach reads, not Critical Thinking textbooks. Still, I am very excited about the class and am getting some good ideas. My biggest deterrent has definitely been all the books I have been reading pool side...and, you know, the house.